Nestled between Surrey, Hampshire, Buckinghamshire and Oxfordshire, just outside of London close to the M4 and M3. 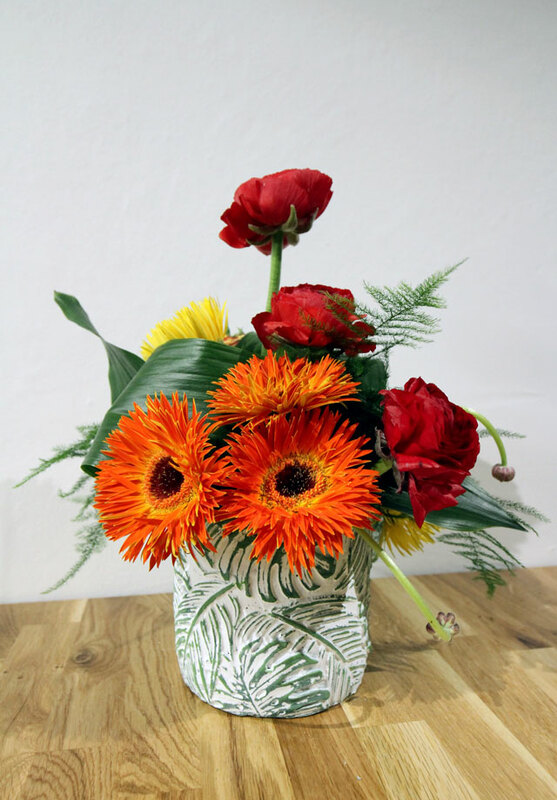 Teaching the art of floristry and business of floristry to everyone from the complete beginner, professional florist, keen hobbyist or a group of friends looking for a fun afternoon. We will encourage you to grow, develop and achieve, find your style and release your inner creativity! Choose from one of our many exciting courses, from evening and day classes to intensive week long courses. We can create your own bespoke course to suit your needs or arrange a fun afternoon or evening with friends to celebrate a special occasion. Kate and Siobhan are both master florists for over 6 years and both run their own floristry businesses. They love to pass on their knowledge and enthusiasm for flowers, design and the business to anyone who wants to learn. Berkshire Flower School also provide ongoing mentoring and business support, to those just starting out and those who wish to develop their businesses. All course take place in the unique and purpose designed studio, in Wokingham Berkshire. Easy accessible from the M4 , M3 and via train, parking is available outside the studio. Grow, Develop, Achieve - Anything's Possible!